Grandma's Babysitting Service: Little One's Always Welcome! 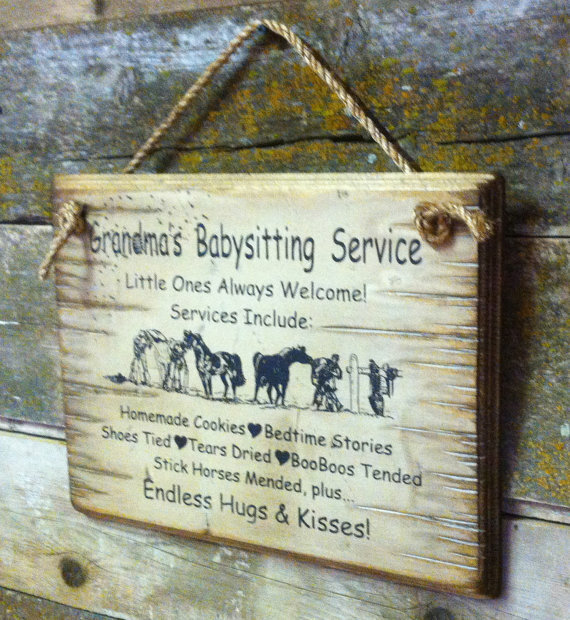 Services Include: Homemade Cookies, Bedtime Stories, Shoes Tied, Tears Dried, BooBoos Tended, Stick Horses Mended, plus Endless Hugs & Kisses! 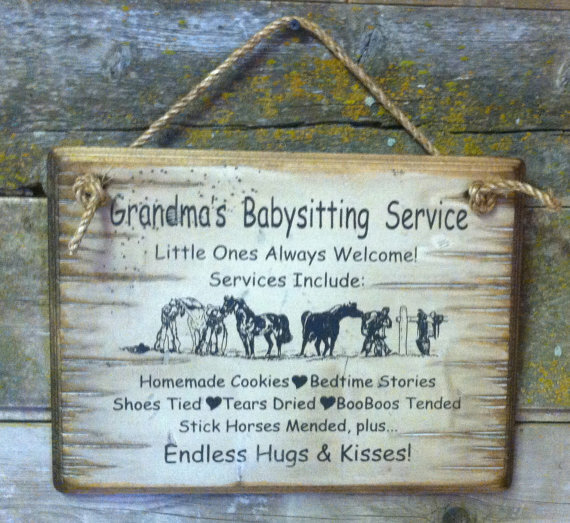 The perfect gift for the Grandma or Nana in your life!! 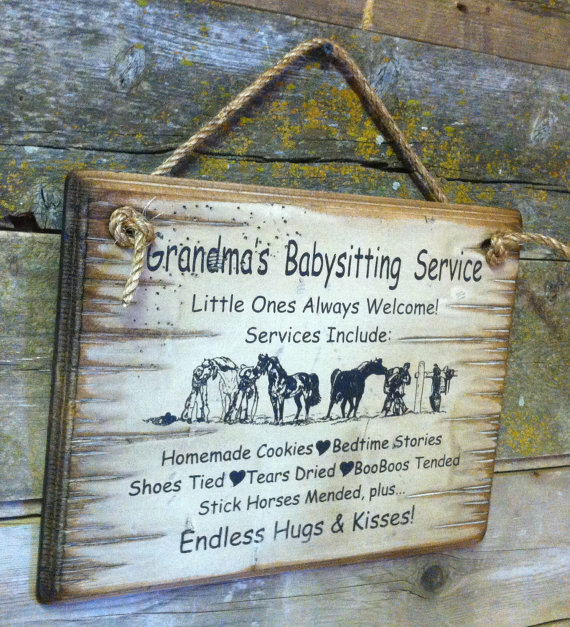 This white background sign measures 11x15 and comes with the grass rope hanger for easy hanging. Handcrafted with pride! !